Customers, in the market for a work truck, do not need to look any further than Westphal Chevrolet. We have the new 2018 Silverado 1500 in stock to meet all of the truck need of our Oswego, IL customers. You can feel free to browse our inventory online or stop by our showroom to see our selection of Chevy trucks, including the 2018 Silverado 1500. Our sales team is happy to answer all of your questions, help you find the truck that meets your needs while staying in your budget. From the time you walk into our showroom, you will be treated like family, and receive only the highest level of customer service. The 2018 Silverado 1500 has a number of different engines designed to ensure the highest level of performance needed to get the job done. In addition, each engine is equipped with technology to provide the highest fuel efficiency possible, including the active fuel management system, the continuously variable valve timing, and direct injection. When equipped with the 5.3L EcoTec3 V8 engine, the eAssist powertrain will also help to further improve fuel efficiency. The 4.3L V6 provides an EPA estimate 18 mpg in the city and 24 on the highway. The 5.3L V8 provides an EPA estimate 18 mpg in the city and 24 on the highway. The 6.2L V8 provides an EPA estimate 15 mpg in the city and 21 on the highway. The 2018 Silverado 1500 is designed to tow, but Chevy also realizes some drivers need added power to meet their towing needs. The 4.3L V6 offers a maximum of 7,600 lbs of towing capacity. The 5.3L V8 offers a maximum of 11,100 lbs of towing capacity. And for the best in class, with a maximum towing capacity of 12,500 lbs, is the 6.2L V8 engine. The 2018 Silverado 1500 has a number of different engine choices to choose from, each with their own benefits. The 4.3L V6 has 285 horsepower at 5300 rmp. It also was awarded best in class for a standard V6 engine in torque at 305 lb/ft. The 5.3L V8 has 355 horsepower at 5600 rpm, and 383 lb/ft of torque. The 6.2L V8 engine has 420 horsepower at 5600 rpm and 460 lb/ft torque. There are a number of different models and special editions available on the new 2018 Silverado 1500. No matter what lifestyle and job you need your truck to do, there is a style that is just right for you. Whether looking for an exterior featuring racing stripes, sporty black and red accents, or chrome detailing, there is a Silverado that has exactly the right style for you. The different editions of the 2018 Silverado 1500 have a number of different features and materials to meet your style. 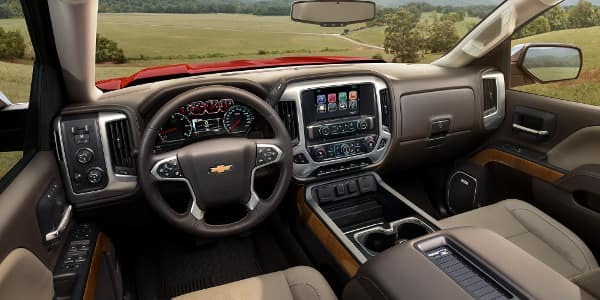 Just like the exterior, Chevy has put a lot of thought into all of the details that make sure the Silverado 1500 is not only comfortable but also stylish. Like the other 2018 line of Chevy vehicles, there is tons of technology features in the 2018 Silverado 1500. It is compatible with most Apple and Android phones, using Apple CarPlay and Android Auto, making it possible to access your playlist, apps, navigation, and access your phone. The Chevy MyLink app, also makes it possible to use your smartphone to lock and unlock doors, start the engine, and find out other vital information about your truck. When activated, the Silverado is also able to be a mobile hotspot offering 4G LTE Wifi, allowing you to stay connected everywhere. 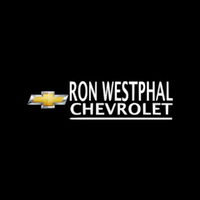 Why Us at Ron Westphal Chevy? Westphal Chevrolet is a local family owned dealership that has been serving our Oswego, IL customers and the surrounding area for years. From the time you walk in the door, our goal is to make sure you feel like you are treated just like our family. Our sales team will take the time to listen to you, locate the vehicle that is perfect for you, and ensure you get the best price possible. Our finance team has years of experience helping customers with a wide range of credit needs, to secure auto loans with the best rates possible, and can explain the terms of your auto loan before making a purchase of your next truck. Whether you want to start your search for the 2018 Silverado 1500 by browsing our online inventory or you would rather stop in the showroom, we look forward to welcoming you to the Westphal Chevy family.